Tá fás as cuimse tagtha ar Thaisce Cheol Dúchais Éireann ó bhunaigh Nicholas Carolan agus Harry Bradshaw é trí bliana déag ó shin. Thug Robert McMillen cuairt ar fhoirgneamh úr an Taisce i lár chathair Bhaile Átha Cliath le gairid agus labhair sé le Carolan faoin obair thábhachtach atá ar bun aige féin agus a fhoireann. Will you walk into my parlour? said the spider to the fly,.Tis the prettiest little parlour that ever you did spy.The way into my parlour is up a winding stair,And I’ve a many curious things to shew when you are there. Oh no, no, said the little Fly, to ask me is in vain, For who goes up your winding stair, can ne’er come down again. Smaoinigh mé ar dhán Mary Howitt nuair a shiúil mé isteach in uimhir 73 Cearnóg Mhuirfean i mBaile Átha Cliath, baile úr Thaisce Cheol Dúchais Éireann. Tá an oiread sin seod istigh ann gur doiligh do dhuine ar bith an áit a fhágáil i ndiaidh dó dul fríd na doirse Seoirseacha mar is ann atá croí an cheoil dhúchais ag preabadh, ó Horslips go Bridie Gallagher, ó Tony MacMahon go hEnya, ó na ceoltóirí taistil go dtí na cheolfhoirne móra. Maireann na glúnta atá imithe ar shlí na firinne taobh istigh de na ceithre bhalla seo, iad ag amhránaíocht agus ag seinm agus ag déanamh céimeanna damhsa – tincéirí; réaltaí pop; aithreacha agus máithreacha agus a muiríní ag seinm na bhfonn a chleachtadh siad sa bhaile sular chuir an teilifís ina dtost iad; buíonta céilí i Londain na 50í; fidléirí uaigneacha Nua-Eabhrac; tá siad uilig anseo. Tá saibhreas iontach lonnaithe sa Taisce seo. Tá corradh le 25,000 taifeadadh idir dhlúthdhioscaí, fhadcheirníní, EPs, 78s, chaiséid agus shorcóirí féin ann. Tá 16,000 leabhar agus irisleabhar ar fáil, 10,000 grianghraf, 9,000 fonn i bhfoirm dhigiteach, 6,500 bileog bhailéid, 2,500 clár teilifíse, 1,000 fístéip agus DVD agus go leor ábhair eile, póstaeir agus uirlisí san áireamh. Is é Nicholas Carolan stiúrthóir an Taisce agus tá foireann de naonúr aige. Ar ndóigh, tá aithne fhorleathan ar Nicholas mar láithreoir na gcláracha teilifíse “Come West Along the Road” agus an leagain Ghaeilge, “Siar an Bóthar”, ar TG4. 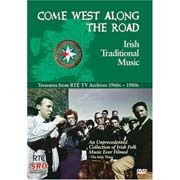 Ar an mallaibh, bhain “Come West Along the Road” buaicphointe amach – lucht féachana de 250,000 duine. Cén fáth a bhfuil an oiread sin ráchairte ar an chlár, a d’fhiafraigh mé de Nicholas. Tá suim ag Nicholas féin sa cheol ó thaobh na dtaobhann. Bhí a shinsear sáite sa cheol ina gceantair dhúchais, Contae Lú agus tuaisceart Chontae na Mí. “Tháinig mo sheanathar agus an ghlúin sin ón tuath isteach go Droichead Átha agus bhí clú orthu ina gceantar féin, Gráinseach Gaoithe i dtuaisceart na Mí, bhí clú orthu as an tsuim a bhí acu sa cheol agus sa rince. Ní cúis iontais é mar sin gur chuir Nicholas suim sa cheol agus é an-óg – in ainneoin go raibh imní ar a thuismitheoirí go raibh spéis aige ina leithéid de chaitheamh aimsire agus go mbeadh sé ag déanamh faillí ina chuid staidéir. Bhí siad sásta go leor é bheith ag éisteacht leis an cheol ar an raidió ach ní raibh sí chomh sásta céanna é bheith ag triall ar na tithe tábhairne. Ach níor tháinig laghdú sa tsuim a bhí ag Nicholas sa cheol – nó san oideachas. Bhain sé post amach mar leas-phríomhoide i scoil i mBaile Átha Cliath a raibh 1,000 páiste ann – ach ní raibh an ceol ar an churaclam! “Nuair a tháinig mé go Baile Átha Cliath ar dtús bhí leabharlanna ann óna dtiocfadh leat ceirníní a fháil ar iasacht agus fiú ag an am sin bhí go leor ceol traidisiúnta ón choigríoch ar fáil ar fadcheirnín agus bhí comhlachtaí ann ar nós Topic a chuir amach fadcheirníní de cheol na Bulgáire agus na hAfganastáine agus dá réir. Nicholas féin, bhí suim aige sna showbands agus sa phopcheol agus é ag éirí aníos ach ba mhó an dúil a bhí aige i mbuíonta céilí na linne agus, ina dhiaidh sin, The Clancy Brothers agus na grúpaí a lean iad. Sa lá atá inniu ann, is ionann a chaitheamh aimsire agus a phost. 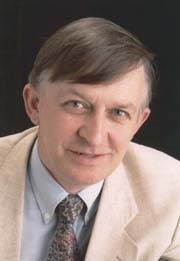 Thosaigh sé féin agus fear RTÉ, Harry Bradshaw, an Taisce i 1994 i Sráid Eustace, san áit a bhfuil Institiúid Scannán na hÉireann lonnaithe anois. Tháinig an bheirt ar sheantaifeadtaí le linn dóibh bheith ag obair ar shraith raidió de chuid RTÉ. Chuir siad an smaoineamh faoi bhráid na Comhairle Ealaíon in 1987, ach ó Chomhairle Ealaíon an tuaiscirt a fuair siad tacaíocht ar dtús. I mbliana, fuair an Taisce corradh le leathmhilliún euro, ón dá Chomhairle Ealaíon, thuaidh agus theas. Is mór an méid airgid é sin agus is mór an t-aitheantas é fosta, dar le Nicholas. Is gá ar dtús, ar ndóigh, tuigbheáil a bheith agat ar cad is ceol traidisiúnta ann. Nó cad is ceol Éireannach ann. Cad é fá Horslips, a fhiafraím de. Tá Nicholas diongbháilte faoin mhéid seo: má fhágann amhránaí nó grúpa an traidisiún ina ndiaidh, ní bheidh áit acu sa Taisce. Tá amhráin agus ceol ón traidisiún Oráisteach sa Taisce fosta agus cad chuige nach mbeadh? Is cuid de thraidisiúin na hÉireann iad na buíonta máirseála, buíonta bosca ceoil, bannaí píb agus amhráin a bhaineann leis an traidisiún Oráisteach, na Apprentice Boys agus araile. Tá ceol sa Taisce a dtugaim ceol fíor-eitneach air, ceol a bhfuil sé doiligh éisteacht leis, an chuid is troime agus is casta den sean-nós, ach tá ceol le Bridie Gallagher ann fosta. Téann an bailiúchán i bhfad níos faide siar ná The Girl From Donegal, ar ndóigh. An bailiúchán is sine de cheol na hÉireann, Collection of Celebrated Irish Tunes, foilsíodh é i mBaile Átha Cliath i 1724. Tá foinn ann a chum Ó Cearbhalláin; tá ábhar ann a bhaineann le Pádraig Sáirseál agus leis na Seacaibítigh. Nach iontach gur foilsíodh é i lár na cathrach ar an taobh eile den tsráid ó Chaisleán Bhaile Átha Cliath! “Cuireann,” arsa Nicholas ach deir sé gur chruthaigh Breandán Breathnach córas iontach leis na ceisteanna sin a fhreagairt. Chreid Breandán go raibh “carachtar” gach foinn sa chéad dá bharra. Thug sé uimhir do gach nóta sa chéad dá nó sa chéad cheithre bharra sin agus rinne sé catalóg de na foinn, rangaithe de réir na n-uimhreacha sin. Ar an dóigh sin, is féidir a theacht ar ainm an fhoinn ach na chéad nótaí a bheith agat! Tá idir 5,000 agus 6,000 fonn cláraithe ar an dóigh seo. An-chliste go deo. Tá sé seo ina áis iontach mar is minic a bhíonn cúpla ainm ar an aon tiúin amháin ach bíonn sé furasta é a aimsiú ag úsáid chóras an Bhreathnaigh! Tá an Taisce go mór faoi chomaoin ag Breandán Breathnach. Ba é a mhol go mbeadh a leithéid ann i dtuarascáil coiste a raibh sé mar chathaoirleach air sna 1980í. Ba é bailiúchán an Bhreathnaigh bunbhailiúchán an Taisce agus tá siad ag cur leis ó shin. Más éagsúil ábhar an Taisce is éagsúil iad na daoine a bhaineann úsáid as: daoine ar suim leo bheith ag éisteacht le fonn nár chuala siad le tríocha bliain; daoine atá ag déanamh staidéir dara leibhéal nó tríú leibhéal nó staidéar iarchéime; daoine atá ag obair sna meáin chumarsáide ar mian leo clár raidió a dhéanamh nó alt a scríobh, agus mar sin de. Cuidíonn an Taisce, ar ndóigh, le ceoltóirí, le hamhránaithe agus le damhsóirí atá ag iarraidh teacht ar ábhar nó ar eolas faoi ghné ar bith dá n-ealaín. Agus tú ag dul isteach san fhoirgneamh, tá halla mór agus deasc fáiltithe romhat. Is ag an fháiltiú a chláraíonn tú. Má tá ceisteanna simplí ag daoine, is féidir iad a fhreagairt gan mórán moille mar tá teacht ar na catalóga ag an fháiltiú. Gheobhaidh cuairteoirí – daoine i gcathaoir rothaí san áireamh – cuidiú ó dhuine den fhoireann agus is áis iontach í don Taisce an fhoireann féin. Tá Gaeilge ag gach duine acu agus is ceoltóirí iad chomh maith. Mar sin, ní hamháin go bhfuil fios a ngnaithe acu ach tá grá acu don ábhar a bhfuil siad ag plé leis fosta. Sa leabharlann, tá leabhair amhrán, leabhair fonn, irisí, leabhair theagaisc agus leabhair rince le fáil. Chomh maith leis na leabhair, áfach, tá taifeadtaí fuaime ar fáil agus thig leat suí ansin ag éisteacht le dlúthdhiosca nó ag amharc ar DVD. Tá cuid den ábhar an-uathúil agus ní féidir a theacht air in áit ar bith eile ach is mar ealaín chomhaimseartha a phléann an Taisce leis an cheol traidisiúnta. Tá saothar stairiúil ann ach ní iarsmalann é.
Má chuireann tú ainm duine isteach sna catalóga fuaime, gheobhaidh tú gach tagairt don duine sin. Má chuireann tú an t-ainm Albert Fry isteach, mar shampla, gheobhaidh tú 11 tagairt – fadcheirníní, caiséad, EP agus cibé bailiúcháin ar a bhfuil Albert ag ceol. Tá uimhir le gach taifeadadh agus is féidir leat ansin an ceirnín a iarraidh ar mian leat éisteacht leis. Nó thig leat ainm amhráin a chur isteach agus gheobhaidh tú amach cén leabhar nó cén iris a bhfuil na focail ann agus na ceirníní ar a bhfuil an t-amhrán áirithe sin. Tá grianghraif sa Taisce fosta – an ceann is sine de Thomas Moore, mar shampla, a glacadh in 1843! Tá saothar na mbailitheoirí ceoil sa Taisce, bosca i ndiaidh bosca d’ábhar a thaifead Proinsias Ó Conluain, Séamus Ennis, Seán Ó Riada, Seán Mac Réamoinn, Ciarán Mac Mathúna, Aindreas Ó Gallchóir agus go leor eile, agus téann foireann naTaisce féin amach ag taifeadadh ceoil ar DVD. Tá rún ag an Taisce bailiúcháin thánaisteacha a chur le chéile ina mbeidh ceol traidisiúnta ó thíortha eile, ní hamháin na tíortha is cóngaraí dúinn – Sasana, Alba agus an Bhreatain Bheag – ach tíortha i bhfad i gcéin fosta. Is tír an-saibhir anois í Éire agus measann daoine go bhfuil athbheochan i ndán don Ghaeilge mar, i ndiaidh do na hÉireannaigh sult a bhaint as an airgead, go dtosóidh siad ag fiafraí “cé mé féin?” agus go bpillfidh siad ar an dúchas. An gcreideann Nicholas go dtarlóidh sin ó thaobh an cheoil de? “Creidim go dtarlóidh. Tá sin feicthe agam i saol na nGael-Mheiriceánach. An chéad ghlúin, na daoine sin as Éirinn a chuaigh anonn, ní raibh suim acu ach an cultúr dúchais a chaitheamh uathu agus a theacht i dtír. An dara glúin, an t-oideachas a bhí ag déanamh tinnis dóibh agus iad ag iarraidh dul ar aghaidh sa saol. Deir Nicholas go bhfuil sé dochreidte an méid ceoil thraidisiúnta atá ann i dtír chomh beag le hÉirinn. Mar cheist dheireanach, d’fhiafraigh mé de Nicholas an raibh an ceol traidisiúnta slán sábháilte. “Níl,” ar sé ar an toirt, ach é ag gáire. “Níl deireadh leis, tá sé ag dul ar aghaidh, is traidisiún leanúnach é atá ag athrú. Ní bheidh duine ar bith ábalta a rá ag pointe ar bith go bhfuil sé imithe nó go bhfuil sé slán sábháilte. Is féidir a rá go bhfuil sé breá láidir faoi láthair ach ní féidir níos mó ná sin a rá. Má tá ábhar ar bith agat ba mhaith leis a thabhairt don Taisce, níl le déanamh agat ach scairt a chur orthu. Agus mura mian leat ábhar a thabhairt go buan dóibh, is féidir é a thabhairt ar iasacht le do ndéanfadh siad cóip de, bíodh sé ina phictiúr, ina 78, ina uirlis nó cibé. 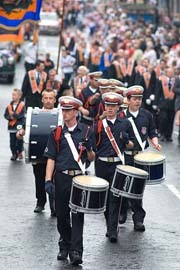 Má dhéanann tú amhlaidh, beidh tú ag cuidiú le hiarrachtaí an Taisce saibhreas ceoil na tíre seo a choinneáil beo beithíoch do na glúnta a thiocfaidh inár ndiaidh. Is iriseoir leis an Irish News i mBéal Feirste é Robert McMillen. Is as an chathair sin ó dhúchas é.